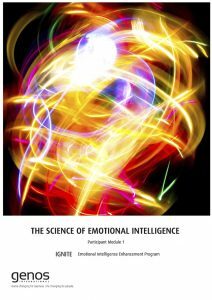 Ignite helps professionals develop emotional intelligence skills and improve their impact, influence, leadership and resilience. 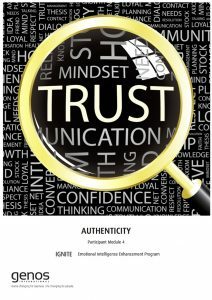 The tools and techniques covered are applicable within and outside of the workplace, making the program game changing for business and life changing for people. 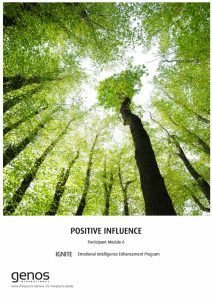 Be better equipped to positively influence the decisions, behaviour and performance of work colleagues. 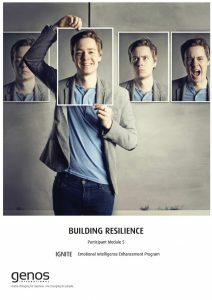 Combining learning methodologies with a learning-journey structure (assessments before and after the program), participants experience enduring improvements in their emotional intelligence. 70% occurs through practice and experience. Skillset - learning how to accomplish goals through practice. 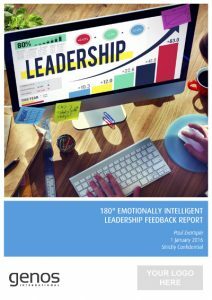 The program contains a Time 1 and a Time 2 Genos EI Leadership Feedback Report. 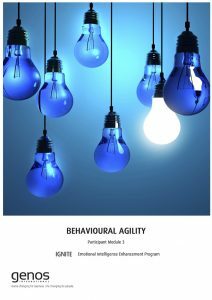 The assessment at the beginning helps personalise the program and allows participants to receive results and feedback on their current EI Leadership Behaviour. In knowing they will receive a second assessment, this helps participants to have a growth mindset and to understand the importance of ongoing development. Applying the material in your daily interactions with others. Who can deliver this program? Please contact Genos if you are interested in having this program run within your own organisation. 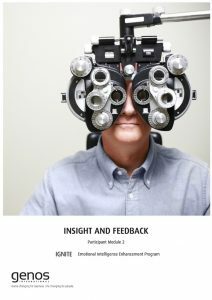 Alternatively, the Ignite Online T3 course is available to Genos EI Certified Practitioners to learn how to facilitate the Ignite Enhancement Program.